We love a classic diamond as much as the next girl, but morganite engagement rings are definitely having a moment right now! If you are looking for a non diamond engagement ring then this gorgeous gemstone, is worth considering. 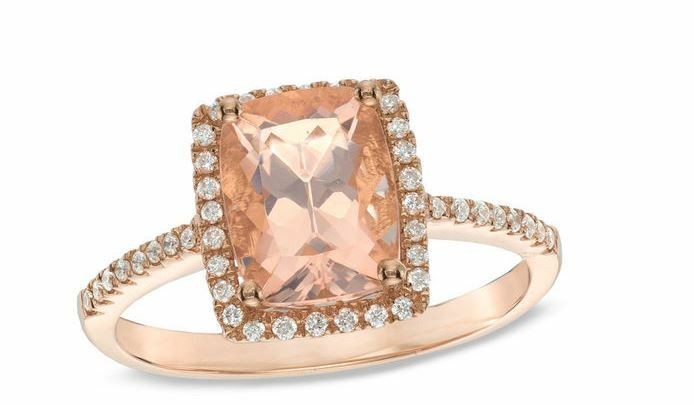 Morganite is known to represent divine love, has a subtle pink hue that pairs perfectly with rose gold. 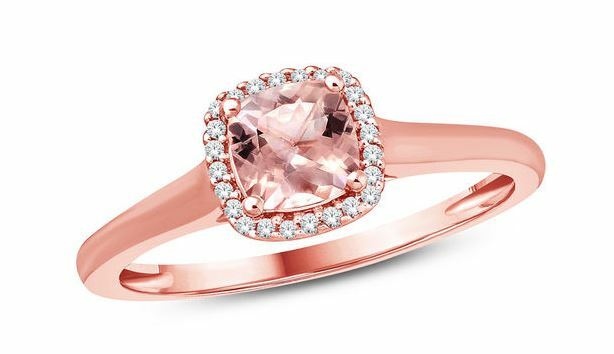 How Much Do Morganite Stones Cost? It’s a darling alternative to a traditional diamond (and it’s budget-friendly, to boot). 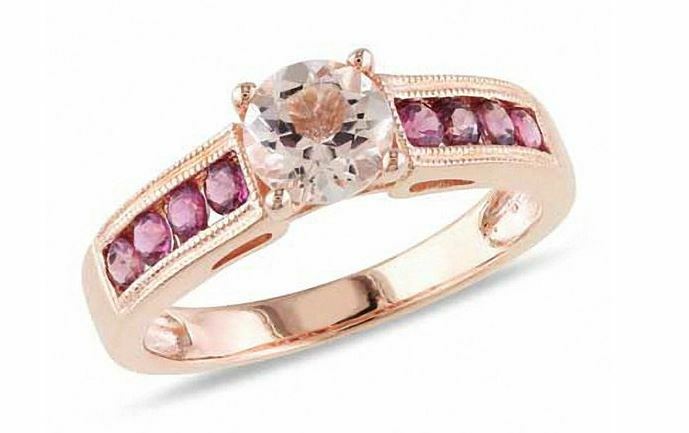 Morganite stones cost on average less than $300/ carat. That’s right! So you can get a gorgeous engagement ring without breaking the bank. Here are a few of our favorite finds for anyone who’s ready to rock the latest wedding-worthy trend. This ring is a contemporary take on a total classic, featuring a cushion-cut morganite center stone encased in a simple diamond halo. 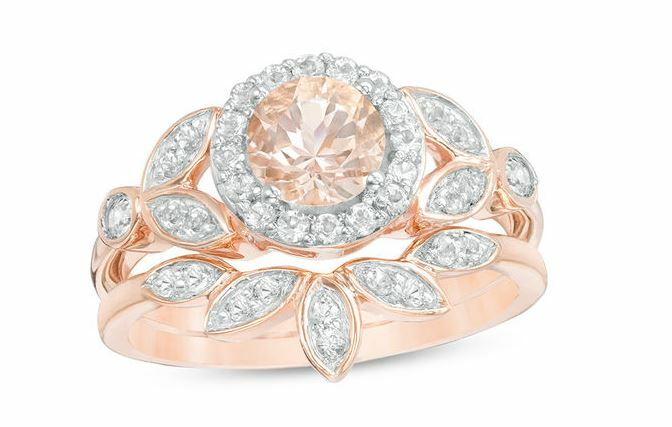 If you can’t get enough of rose gold, you’ll love how the setting beautifully complements the gemstone’s rosy color. It’s the perfect modern ring for a girl with a timeless style. 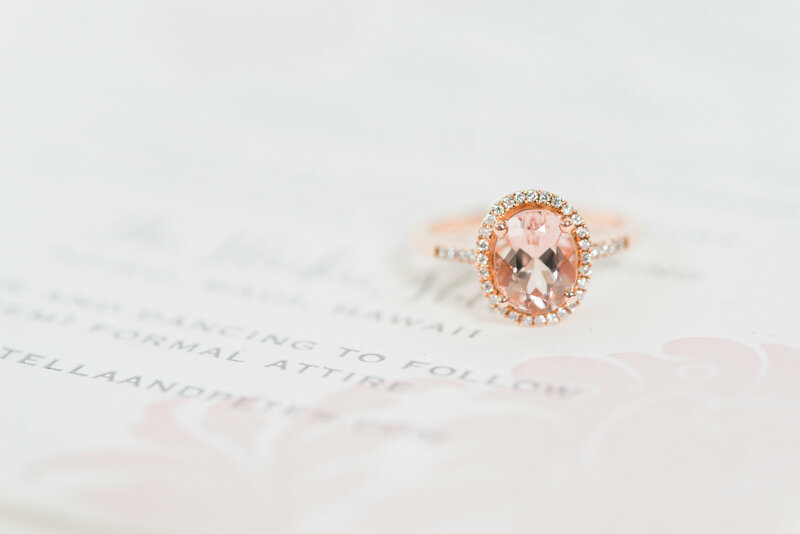 Rose gold morganite engagement rings are such a dreamy combination. Laced in a diamond halo setting with a twisting shank, this round morganite ring will seriously make you feel like royalty! Sparkling from all sides, get ready to flaunt this dazzling ring everywhere you go. This stunning oval-shaped pale pink morganite center stone sparkling diamond accents and intricate milgrain detailing borders the gemstone, while a twist rope pattern adorns the shank. It packs just the right amount of shine, without overdoing it on the glitz-n-glam, making it the perfect chic design for an effortlessly elegant bride-to-be. This stunner features a large morganite center stone with diamonds set in intricate milgrain detailing a sweet and feminine shank. Artsy brides will love the stylized vintage vibe of this beautiful ring. Now that’s what we call an elegant ensemble! We’re head over heels for this morganite ring surrounded by vibrant pink sapphires and mounted in a beautiful rose gold band. It would be tough to stop falling in love with this serious statement-maker over and over again. 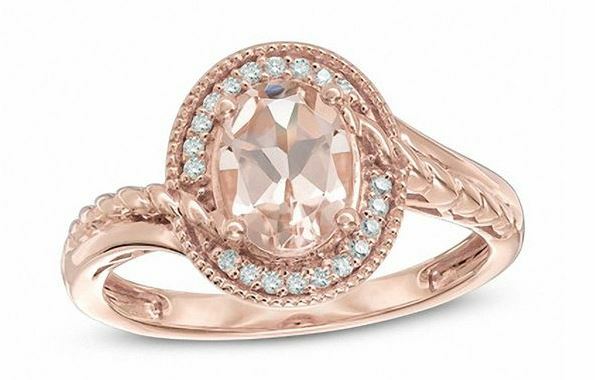 This enchanting ring is beyond breathtaking. Bold brides will love the soft pink morganite framed in shimmering white topaz and flanked by sparkling leaf-like topaz-touched marquise shapes and bezel-set topaz. Swoon! 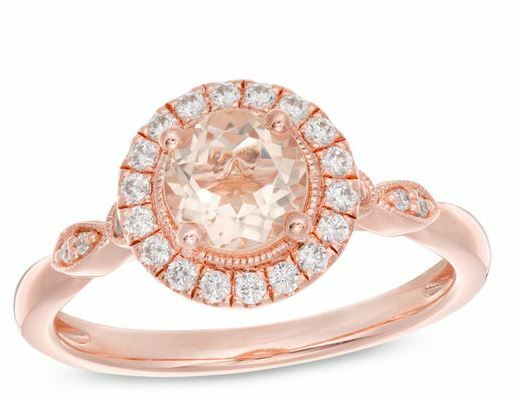 This morganite trio is definitely something to obsess about! 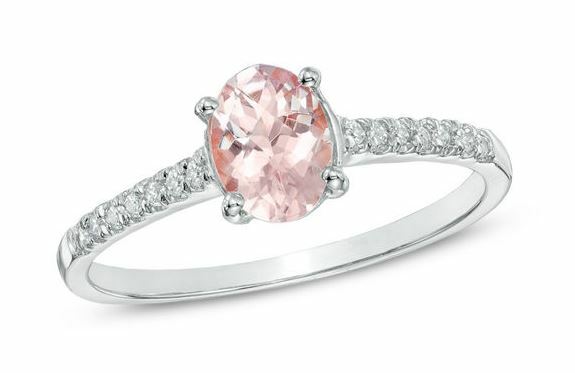 The cushion-cut soft-pink morganite lined in sparkling pavé-set diamond accents is certainly a magnificent catch. Looking for your perfect sparkler? Check out our list of top alternative engagement ring designers.